Today I want to talk about a new addiction of mine. And I warn, the euphoric hit I get from it is going to sound completely ridiculous unless you have had the pleasure of experiencing something like it for yourself. My new drug is the Nintendo 3DS’s Streetpass system. This little handheld has proven its worth to me a thousand times over, especially during last week’s power outage, and thanks to my car charger I was able to keep it juiced up everywhere I went. But I guess what started the obsession actually happened a while before this. One day, I was at the mall shopping for a pair of yoga pants, and when I looked down into my purse and — BAM! — there was that little green light on my 3DS telling me I’d gotten a tag. Someone in the last few minutes had passed by me with their own 3DS, and in that split second our two systems had traded information. I opened up my 3DS, checked out my Mii Plaza and saw to my surprise I had actually tagged not one but two people during my short time at the store. It was that moment I became hooked. When I had first heard about Streetpass, it sounded like a pretty cool feature BUT OH GOD YOU WON’T HAVE ANY IDEA HOW AWESOME IT FEELS UNTIL IT HAPPENS TO YOU!!! 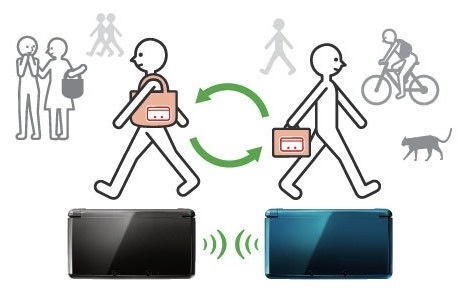 With wireless communication turned on and your 3DS in sleep mode, it will automatically send data about your Mii and the games you’ve played to people you meet on your travels (who also have their Streetpass enabled), and vice versa. I’ve since developed a habit of taking the 3DS with me whenever I go out. Every time I see that green light, I get all giddy. Unreasonably, excessively so. It still doesn’t happen as often as I like, but I’m hoping news like August’s 260% increase in 3DS sales and today’s launch of the new “flame red” 3DS will mean more Streetpass opportunities in the future. These days, I seem to have the most luck at the mall, where I get at least one tag every time I go, even if it is just “Mike the Gamestop guy”. Game and electronic stores are almost guaranteed to give you a hit, and I’m sure if I went to a gaming or comic convention in the city I’d be in heaven picking up random people left and right (wait…that didn’t really sound right…) but to me, that’s a little like bamboozling the system. I much prefer the random Streetpasses that I get by simply going about my daily life, the encounters that some people in the community have taken to calling “wild Miis”. Leave it to Nintendo fans to make everything a Pokemon reference. No surprise here, but I purchased myself a Nintendo 3DS last weekend when the $80 price drop went into effect and also picked up a few games, including The Legend of Zelda: Ocarina of Time. So far, I’m loving my new little gadget. So much of it is gimmicky, but screw it, I’m enjoying it all while it lasts. 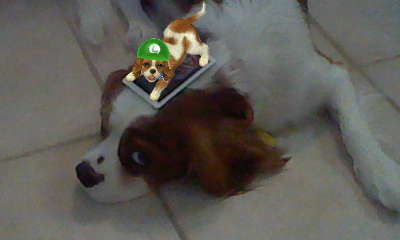 And speaking of enjoying something while it lasts, I also picked up Nintendogs + Cats. Let me just make something clear: I already have two dogs — that is, two real dogs, a couple of adorable Cavalier King Charles spaniels that I just love to death so you can say I’m already quite well acquainted with all the joys of dog ownership. I don’t really need a pet simulator any more than I need an instruction manual on how to put on my socks, so then why am I so in love with this freakin’ idiotic game!?!? Well, it definitely has its charm in the short-term and in time may feel like a glorified 3DS tech demo, but for now I’m completely taken with my Nintendog (a Cav, of course; as if there was any other choice for me). The game’s certainly good at igniting my inner 10-year-old, and of course, there’s that word again — gimmicky. 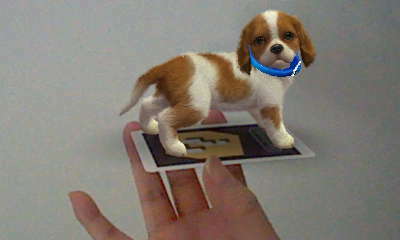 Maybe I’ve had my head in the sand, but one thing I had absolutely no idea about and was delighted to learn was the 3DS’ use of Augmented Reality cards, so I wasted no time whipping out the AR camera and putting my Nintendog in all sorts of precarious situations. Watching my puppy chase his tail around in circles on my desk in eye-popping 3D is not only super trippy but also evidently a great way to waste half the morning. I am a sad panda because the cool 3D effect doesn’t show up in pictures. Waiter, this is unacceptable! 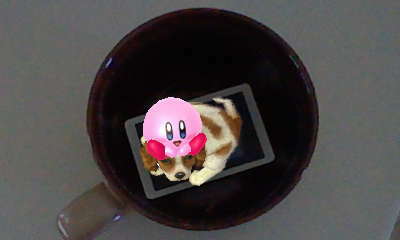 There’s a Kirby in my cup! And he just crapped out a puppy! My other (real) dog Mara is the prissy one who would have chewed up the AR card before putting up with any of my crap, whereas Strider (the real dog in the above photo) is the smart one who knows as long as he shuts up and stays still, the faster he’ll get things over with and the sooner his crazy lady owner will leave him the hell alone. Which is probably exactly what he was thinking when I took that picture. Is A 3DS In My Future? In the wake of a recent price drop announcement, I have been really considering. When I first experienced the Nintendo 3DS, I thought as many other people did, “Hey, this thing is pretty damn cool!” But the price has always held me back, not to mention none of the titles in the initial line-up of games jumped out and me and begged me to buy. But on June 19th, that changed. Enter Legend of Zelda: The Ocarina of Time 3D, or the remake of game that changed my childhood forever, turning me into “girl-who-simply-plays-whatever-the-hell-her-brother-buys-and-plays” to someone who appreciated games for all the effort and value they represented — details like gameplay mechanics, the depth of design, and most of all music and sound. I just really loved that game, and I loved my N64. So it is uplifting when I see other N64 encores on the horizon, like Star Fox. 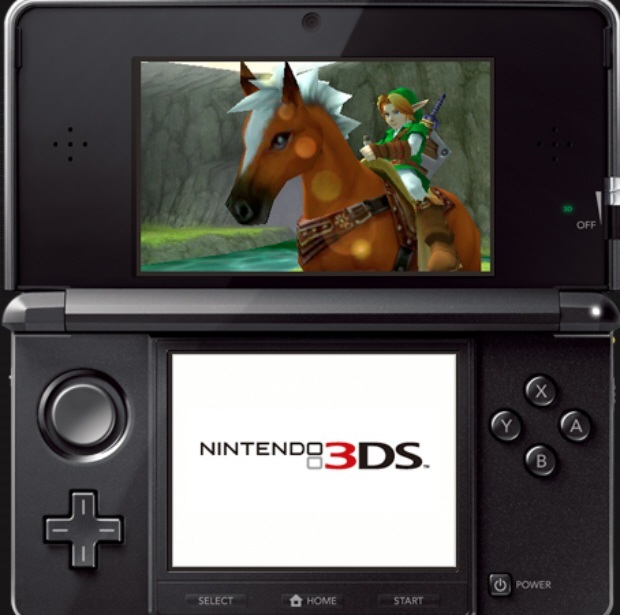 Okay, so I won’t deny part of the appeal of the 3DS is being able to relive some of my childhood nostalgia. 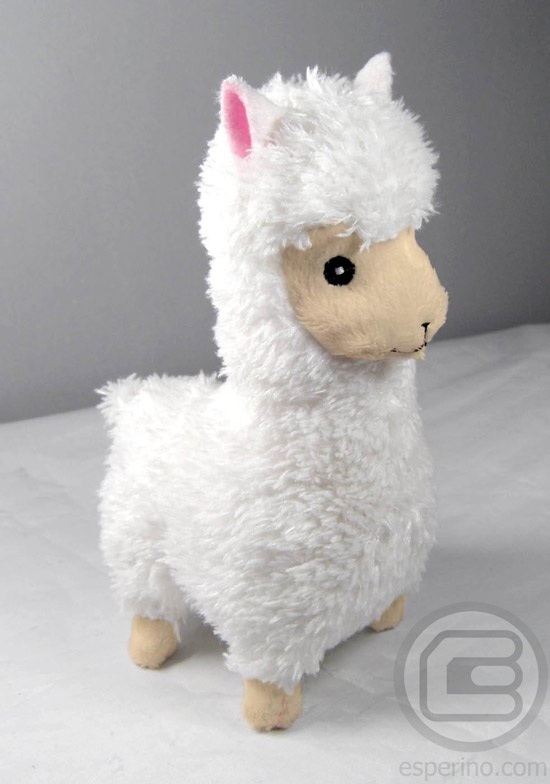 And while $250 is a little steep for those beloved childhood memories, $170 on the other hand…maaaaaaaaybe. In any case, the price drop has my attention, and at this point, the future still looks promising with the potential for new games. So, while I’d been sitting on the proverbial fence for months now, I would not be surprised at all if this weekend I suddenly find myself a proud owner of a certain new portable gaming console, just saying! My only concern, however, is the 3D feature. I am aware that the system is completely playable with 3D turned off, but hey, it being the main selling point I would want to make the most out of it. 3DS owners, feel free to chime in on this. I do wonder if reports of headaches and eye strain have been exaggerated in the media, but I know everyone is different. Myself, I experienced a wicked case of double vision the last time I was play testing a unit at a demo station — expected, since I’m so near sighted in one eye as for it to be legally blind. But then again it was kinda fun because it was like drunken game of Pilot Wings. In a stroke of irony, I may just have to wear glasses when I play. You are currently browsing the archives for the 3DS category.